This is another dreaded monotypic genus for a species, Sarucallis kahawaluokalani (Kirkaldy), that has previously been placed in Tinocallis. It is common on ornamental Lagerstroemia in the southern U.S., and I see it often during work-related travel to the big city tourist areas of places like San Antonio or Orlando. 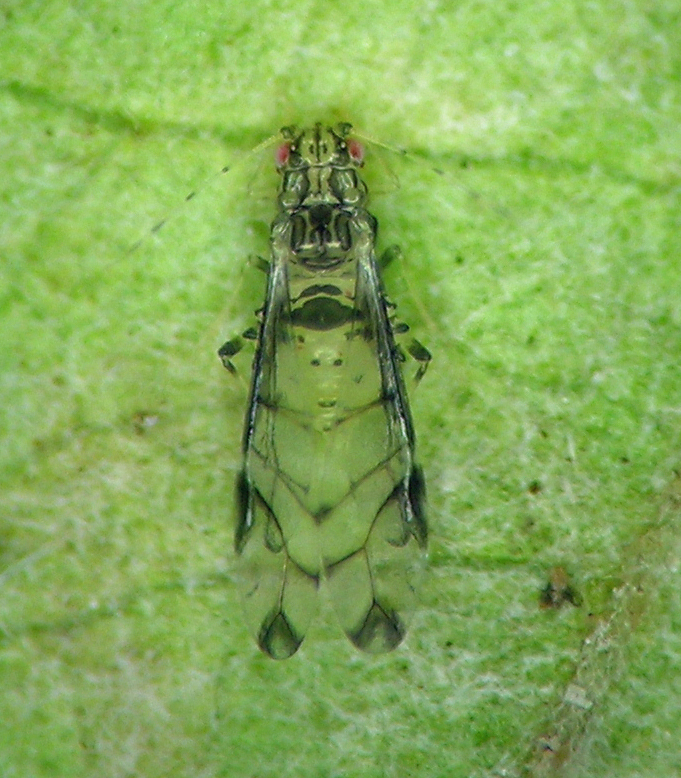 One unusual feature of this aphid is the way that its wings are folded almost flat above the body, as opposed to the more common “roof-like” position in repose. Sarucallis kahawaluokalani in San Antonio, Texas in November.